Global gas trade is expected to explode – and most of the new supplies will go to Asia. Europe will lose control of markets and pricing and will need to compete at higher Asian prices. That’s the main message energy reporter Rudolf ten Hoedt took away from the Gastech LNG conference in Korea in March where he spoke with leading LNG traders, including market leaders Shell, Qatargas and Tokyo Gas. “Europe doesn’t realise what is coming”, they told him. In the larger scheme of gas things, the Ukraine crisis is only a blip. The Ukraine crisis has brought Europe’s dependence on Russian gas supplies back into the spotlight. The first reflex of excited EU politicians has been to look across the Atlantic to tap into the US shale revolution. LNG exports from North America could pull Europe out of the Russian shadow, they said. President Obama would open the floodgates and send LNG carriers, with or without a Free Trade Agreement, to the EU. Unfortunately, this EU emergency strategy fails to take into account market realities. Obama probably knew this very well when he warned Brussels that American LNG supplies are not the panacea for Europe’s energy problem with Russia. Europe will have to face an ever fiercer competition with experienced and well-connected Asian buyers over LNG supplies. If it wants to replace Russian piped deliveries with LNG, it will have to pay a premium: “the Asian premium”. Over the next two decades, 85% of the growth in energy consumption will come from the Indo-Pacific region. China alone will account for 40% of global growth in energy consumption until 2025. Domestic production in the Asian region cannot meet demand and imports from elsewhere will skyrocket. Gas will play a major role in this shift. According to Shell, one of the world’s largest LNG producers and traders, global gas demand is set to explode, growing from 220 mtpa (million tonnes per annum) in 2010 to 370 mtpa in 2020, with Asia of course as key-growth area. The company says gas will become the backbone of the global energy infrastructure, replacing oil as the biggest resource by 2030. “as a result of growing demand in China, South-East Asia, as well as the Middle East and The gas business will double in the next 10 years Latin America”, says Roger Bounds, Global Head of LNG at Shell Integrated Gas. Shell has followed the gas pivot to Asia. In 2013, it moved its Integrated Gas headquarters from The Hague in the Netherlands to Singapore. Shell has a big stake in gas. It is one of the growth engines of the company. Shell currently controls 10% of global LNG production. Since the acquisition last year of Repsol’s LNG business, the company has 26 mtpa of equity LNG capacity on-stream and another 17.7 mtpa under construction. Apart from this “equity gas”, Shell also traded nine million tonnes of additional LNG, delivering all in all 35 million tonnes to world markets in 2013 with Shell-managed LNG carriers. “The industry will grow by 5% per annum and we want to keep our share”, Bounds tells Energy Post at the Gastech LNG conference that took place at the end of March in Korea. To do so, Shell has followed the gas pivot to Asia. In 2013, it moved its Integrated Gas headquarters from The Hague in the Netherlands to Singapore as “recognition” that, as Bounds puts it, “the Asian Pacific basin is the source of considerable supply and is a corridor where Shell expects to see increased LNG consumption”. A big part of global LNG is absorbed by Asia. Japan, Taiwan, China and Korea currently import 70% of global supplies and their demand is on the rise. 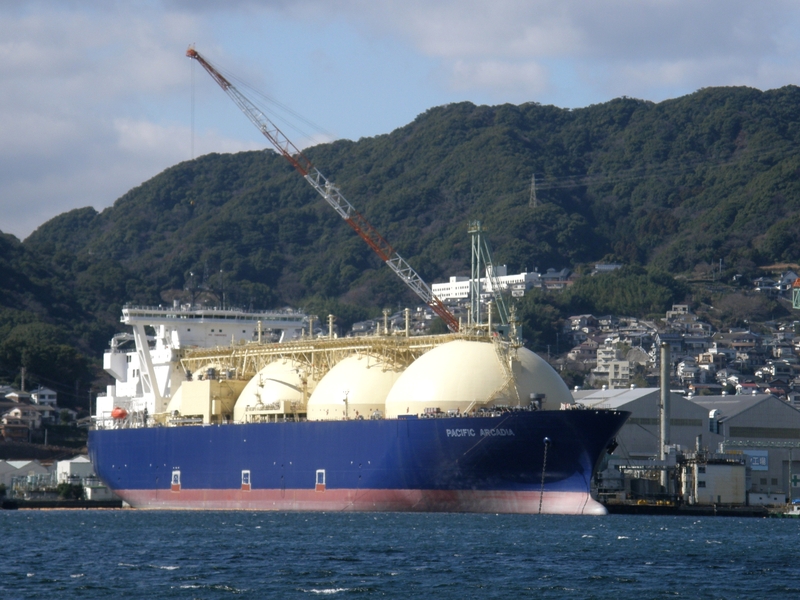 Japan is the biggest LNG importer worldwide and Kogas from South Korea the biggest single LNG importer globally. Shell supplies Asia from a wide range of sources: from its joint ventures in Brunei where it opened the first LNG plant in the Western Pacific back in 1973, from Qatar, and from Russia’s first and only LNG project, Sakhalin II, which meets almost 10% of Japanese demand and in which Shell participates with Gazprom and Japanese trading houses Mitsui and Mitsubishi. In addition, Shell has major innovative gas projects under construction in Australia, all of which are destined to supply Asian markets, often in partnerships with Asian buyers. Other oil companies are also undertaking many new projects in Australia, East Africa and of course the US. Russia too is racing to unlock more Siberian gas reserves, bringing other Russian companies, like Rosneft and Novatek, into the LNG export game to get access to Asian markets. So what will be the consequences for gas prices? Some observers believe that with the new capacity coming online after 2017 and demand from LNG emperor Japan expected to remain stable if not decline, the elevated LNG prices in Asia will come down. On Asian spot markets, prices can be as high as $19/mmbtu, a premium of $8 compared to what Europe is used to paying for its gas. Asian LNG buyers are of course anticipating a further surge in demand and the growing import dependence of their region. Of the few US LNG shale projects that will come online within now and a couple of years, a considerable part of equity production has been earmarked for Asian destinations already. “Major Asian LNG buyers on average have approximately 20% of their LNG portfolio based on North American supply in their 2020-2025 window”, says Japanese LNG veteran Shigeru Muraki of Tokyo Gas. At Gastech LNG, industry representatives pointed out that president Obama cannot overrule the markets by suggesting US LNG exports will come to the aid of Europe. Asian companies and Western oil companies as well who want to benefit from the windfall in Asia will not change plans and direct gas carriers to Europe just like that. Shale LNG from the US will not naturally turn eastwards in the future and cross the Atlantic. “It will be part of the global export mix. Some of it will turn up in Europe”, Bounds says cautiously. It remains to be seen what Shell can come up with in the US where it was late to join the shale frenzy and is currently wrestling with costs. But if Shell and others send LNG supplies to Europe, it will only happen if Europe wants to pay higher prices than it is used to. “Europe will have to compete for LNG with higher valued markets in Asia”, says Alaa Abujbara, COO Commercial &Shipping of Qatargas, Europe’s biggest single supplier of LNG. Qatargas was established in 1984. Partnering from the very beginning with Japanese trading houses Marubeni and Mitsui, as well as with Chubo Electric and other Japanese utilities, it has become a main integrated gas company, one of the first with a fully integrated LNG value chain with offshore operations, 4 LNG joint ventures with major oil companies including Total and Shell, 4 LNG mega-trains, three smaller trains and condensate refineries of its own. The company currently produces 42 mtpa of LNG and claims to be the largest supplier of LNG worldwide, with a purposely built fleet of 10 LNG tankers and another 32 large size Q-Max and Q-Flex LNG membrane carriers. In the last 4 years, the gas portfolio of Qatargas has changed dramatically, reflecting the same fast and fundamental shift in the global gas markets that has driven Shell Integrated Gas deeper into Asia. Since then, developments have accelerated. As a result of growing gas demand in China and post-Fukushima Japan in the first place, the demand for LNG in the Asia Pacific almost doubled from 2005 reaching 175 mtpa in 2013. “By 2013 5% of our deliveries went to the Americas, 25% to Europe and 70% to Asia”, according to Abujbara. By the end of the decade, Vietnam and the Philippines are expected to join the club of LNG importing countries as well, while Myanmar is expected to take a decision very soon. In other words, the Ukraine crisis may be the decisive factor that will push Europe into the orbit of the global gas market. But this is bound to happen anyway. 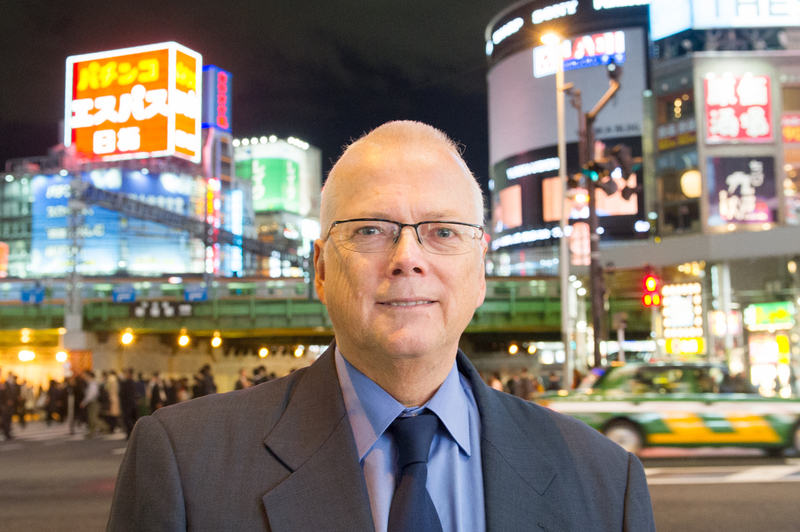 Tokyo-based energy journalist Rudolf ten Hoedt will regularly report on the stormy developments in the Asian energy market for Energy Post. You will find his contributions in a special Asia section that we will soon introduce on our website. I can perfectly understand the desire of the major gas suppliers for higher prices and their enthusiasm to ‘talk them up’, but the price elasticity of demand for gas is nowhere near as as low as it is for crude oil and petroleum products. This limits suppliers’ ability to secure and maintain high prices. In addition, with liquid traded markets in the US and the EU and with liquefaction plants operating on a tolling basis, LNG exports to Europe will, eventually, generate a ‘basis differential’ – the difference between the traded prices in the US and the EU – equal to the short-run cost of increasing or decreasing exports. Furthermore, LNG buyers in East, South East and South Asia, subject to domestic political, popular and economic pressures, will be unable to continue paying an ‘Asian premium’. The same forces that will drive the price convergence in the Atlantic Basin will apply eventually in Asia and traded markets will emerge that will discover basis differentials with the traded markets in the US and Europe. Up to now the ability of South Korean and Japanese suppliers of capital good, equipement and services to capture the lion’s share of the value in the LNG supply chains providing LNG supplies to these countries have helped to maintain this Asian premium. And the impact of Fukushima has also contributed. But, even with massively increasing demand elsewhere in Asia it will not be possible to sustain this premium indefintinely. Obviously there are powerful political and economic interests determined to maintain high prices, but domestic pressures in all importing countries, coupled with the price elasticity of gas demand and falling barriers to gas market entry and exit, will drive prices towards the marginal cost of supply.